Since 1991, Ethiopia has been reconstituted on the basis of equality and mutual respect for the common aims and interests of its many peoples. The 1994 constitution launched a genuine democratic process whereby decision making power was, for the first time, devolved to regional states. Ethiopia’s revamped unity-in-diversity is widely regarded as the guarantor of its peace and security, which in turn has long offered the opportunity of focussing on resolving its internal vulnerabilities and its very real problems, both political and economic. 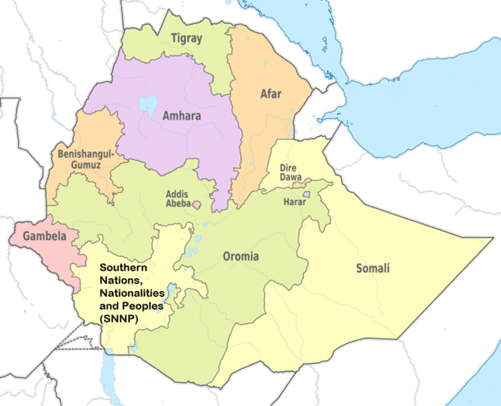 Back in the 1990s, the major threats to Ethiopia were identified as economic backwardness, desperate poverty and a lack of democratic institutions, which all threatened Ethiopia’s survival. Since then, Ethiopia has achieved peace and stability through socio-economic development and a democratisation process that laid the foundation for Ethiopia’s renaissance, and its vision of becoming a middle-income state within the next decade or so. A carefully structured democratic developmental model, comprised a multi-party political system with regular elections, and executive power devolved to Regional States. This helped create real space in which the private sector could thrive. Ethiopia has developed rapidly, particular in the last 15 years, when its economy has grown in double digits in spite of the impact of climate change – and the resulting severe droughts – and the collapse of the world finance system in 2008. Poverty has been reduced by 33% and Ethiopia met nearly all the Millennium Development Goals by paying particular attention to the education, health, agricultural and food security sectors, to which it deploys 70% of its budget. These pro-poor policies are delivering great dividends. Net enrolment rates in primary education more than quadrupled, from less than 20% in the 1990s to over 97% in recent years, with close to parity in enrolment of girls and boys. These, then, are the reasons for Ethiopia still remaining [one of] the fastest growing economies in the world, and this is set to endure, with savings and investment continuing to rise. These facts are at odds with some media reports which write of an “authoritarian government”, that “gives little space to the private sector and stifles entrepreneurialism.” In reality, the government has strongly supported local investors through bank loans and the creation of SMEs and is building industrial zones and agro-industrial parks and also has a special rolling fund of 10 billion Birr (about £285 million) to help young entrepreneurs. As a result, millions of jobs have been created in the last few years, especially for women and young people. Ethiopia continues its pursuit of structural economic transformation, to improve the productivity and competitiveness of smallholder agriculture, and is fully supporting industrialisation, with particular emphasis on manufacturing, where the production of value added products are offered preferential treatment. Massive investment in the development of infrastructure is creating an enabling environment for trade, people-to-people relations and regional economic integration. Ethiopia firmly believes that its peace and security lies in the peace and security of its neighbours, and vice versa, and fully participates in regional, continental and world peacekeeping missions – it is the largest contributor of peace-keeping troops in the world. In terms of democracy, Ethiopia has built a strong constitutional system and institutions that recognise and accommodate diversity – ethnic, religious and others. The system nurtures a culture of tolerance, and ensures the full participation of the people in the country’s political, economic and social process, benefitting those of all walks of life in both urban and rural areas where grassroots politics thrive. Despite these achievements, the country has faced challenges along the way, especially this year and last. The recent unrest in parts of the country, which resulted in loss of life and internal displacement, posed a threat to the values of tolerance and peaceful mutual coexistence. Though the federal system has directly addressed issues of equity and equal opportunity, there have been disparities in development provisions in parts of the country due to lack of efficiency, and the violence was in part a reaction to the rent-seeking behaviour of certain administrators, individuals and groups. The most pervasive failings were revealed in early January, during the government’s rigorous 18-day evaluation of the last 15 years of development. Although progress has generally been exceptional, it has not benefited all members of society, many women and young people in particular have felt excluded. The evaluations have pinpointed the reason for the shortcomings, which include misuse of public office, corruption and lack of transparency and accountability in some areas. A failure to fully accommodate pluralism and diversity of views have been a hindrance to further widening of the political space. There has been a failure to provide inspired strategic leadership; the solution is to strengthen good governance – transparency and accountability and the rule of law – establish and support a new unity of purpose and trust. The leadership reached a consensus and took full responsibility for failing to fully discharge its duties, expressing its remorse to the people of Ethiopia. It has reaffirmed its unreserved commitment to learn from the challenges and build on the successes. The evaluation also concluded that the lack of fair and balanced media reporting has also been an ongoing concern. Some public and private media outlets that disseminated hate propaganda, contrary to media ethics and laws, have damaged the longstanding culture of tolerance among people. There was a failure to promote national identity that encompasses diversity. The government is committed to maintaining the rule of law in the country. Any activity, by individuals or groups, which results in disruption of the daily activities and freedom of movement of citizens shall be immediately addressed, and the perpetrators brought to justice. The internal displacement in the border areas of the Oromia and Somali regional states will be promptly resolved, and the displaced people will be resettled in their original homes. The economic activities of farmers and pastoralists will be restored and will be protected from the illegal trading activities and disruption, which had exacerbated this conflict. A series of measures will be taken to speed up reforms and to enhance service delivery and to encourage the participation of the public, particularly young people, in the democratisation and development process. The government will tackle the shortcomings in building a multi-party democratic system by harnessing the constructive role that can be played by opposition political parties, scholars and members of civil society. The government expressed its commitment that some political leaders currently facing prosecution for suspected crimes, and some of those sentenced by the courts, may have their charges dropped or may receive a pardon, in accordance with the relevant law of the country, and about 528 of them are being released. 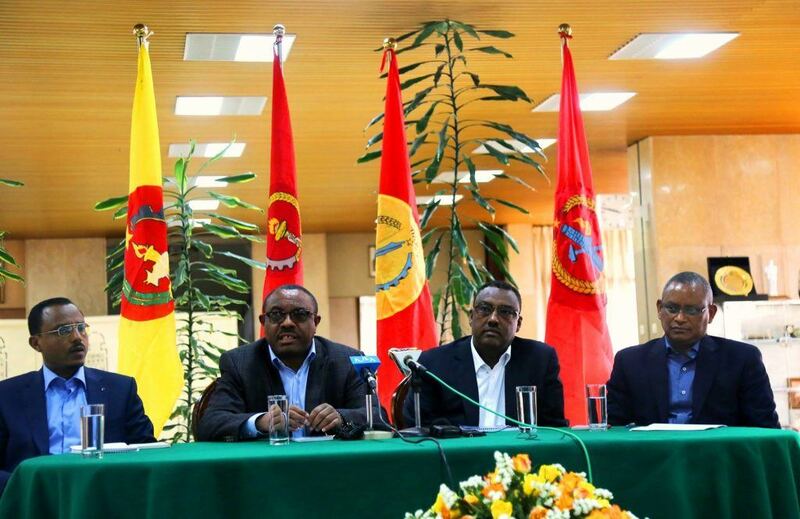 The Chairpersons of the four EPRDF national member organizations, the Amhara National Democratic Movement (ANDM), the Oromo People’s Democratic Organization (OPDO), the Southern Ethiopian People’s Democratic Movement (SEPDM) and the Tigray People’s Liberation Front (TPLF), at a press conference on January 3, 2018. Most significantly, the “Maekelawi” detention centre, which was used by the previous Derg regime as a torture centre, has been closed and will be transformed into a museum. The government also stressed its commitment to further strengthen solidarity in nation-building and national consensus, widening the political space and forging national unity in line with the constitutional order of the country while maintaining diversity. The government has to redress this state of affairs and meet the promise of full development made to all Ethiopians by engaging in a deeper renewal process, responsibility for which lies with the leadership. The drive for further sustainable peace, all-inclusive development and deepening democracy and governance are the motivating forces. It is in this context that the recent evaluation by the governing party took place to ensure the country`s renaissance.